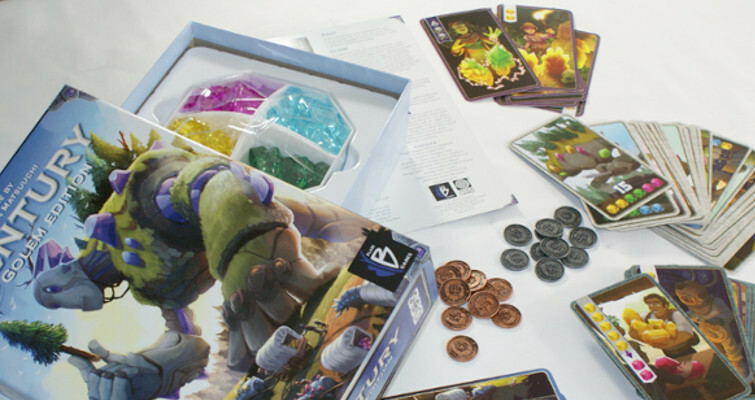 In this game players will compete to gain the most points, which are obtained from the golem cards they can claim, as well as the coins they may collect in this process. 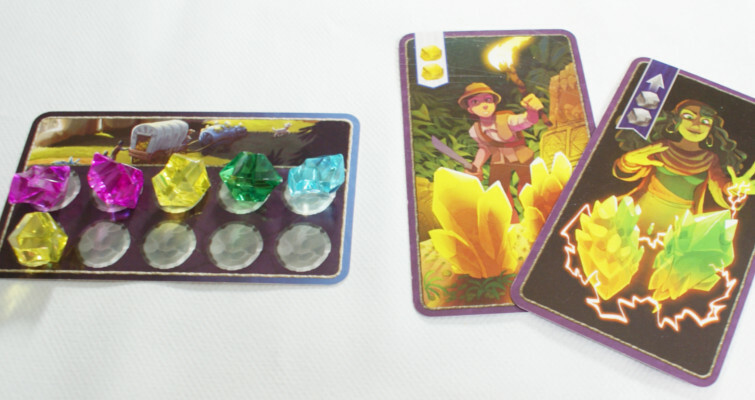 The golem cards each require a certain set of crystals before you can claim them. There are 4 types of crystals – yellow, green, blue and pink, yellow being the least valuable and pink the most. 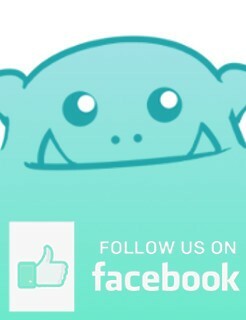 All 4 types are needed for the golem cards, so it’s not merely a matter of getting the most valuable ones. In some cases it may even pay off to trade 1 high value crystal for multiple of a lesser value. During a turn a player can either take, play or claim a card, or gather back cards already played to their hand. 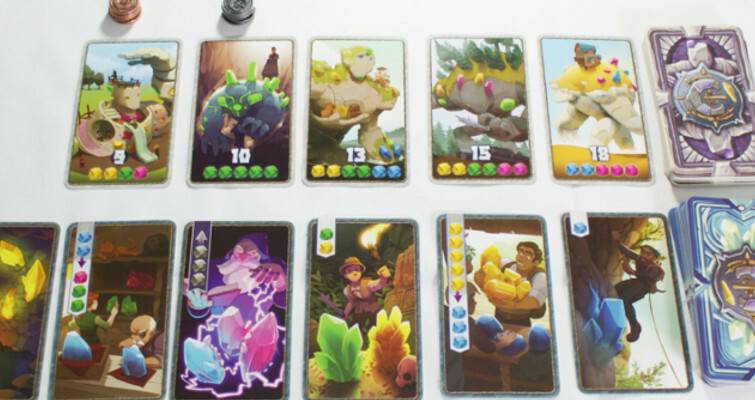 The cards depict actions players may take, such as trading or obtaining crystals. As example, a card could feature a yellow and a green crystal, or the option to transform 3 lower value crystals into 1 higher value one. Cards are presented to players in a row and are initially free to take, but if taking any other card than the first one available in this row, a gem must be placed on each card that is skipped. If taking a card with 1 or more crystals left on it that player gains both the card and the crystals on that card. When a player has claimed 6 golem cards the game will end after everyone has had a turn the points are then counted. The winner is the one with the most points. This game has been called a “Splendor killer” due to its similar game mechanisms, but although the 2 do share similarities the strategy for each game is different. The complexity level is about the same. In the end it is of course down to personal opinion.